September is almost over. It's hard to believe. But we look forward to October. Cooler nights, falling leaves...Halloween. But we're not there yet. Here's something fun though, Mark W. Curran has stopped by to answer our three fave questions. 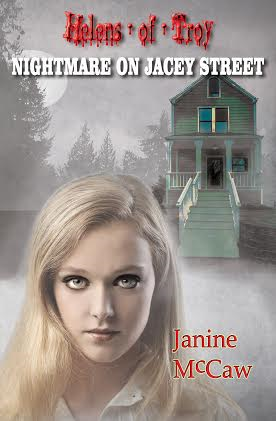 MC: This is a collection of short horror stories so there are many main characters. Since the novella is the cornerstone of the book, I can tell you a little bit about the main character in that. 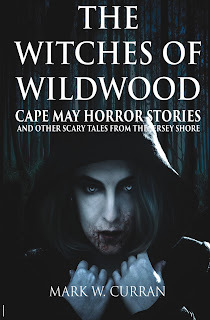 THE WITCHES OF WILDWOOD novella is about a group of modern day witches, four young beautiful sisters, who are using the Jersey Shore as their personal hunting ground. They scour the night clubs, boardwalk and beaches looking for victims, and use sexual seduction to ensnare and weaken them. Their main opponent is a witch-hunter and preacher named Billy Wilkes, who has spent his life roaming the United States hunting down modern-day witches and killing them. He discovers, however, these four girls have a collective power much greater than a single witch would have, thus, he has met a match that will likely result in his own destruction. SC: Do you believe in the paranormal and if so, do you have an experience you can share? I believe there are powers and dimensions we cannot perceive, but I am not at all sure the things that seem to be paranormal have anything to do with those said dimensions. MC: I don't have any personal experiences to share on the paranormal but I can tell you that we as humans seem to be fascinated with myths, legends and stories, and those stories have common denominators that echo down through the ages. As a storyteller, all we can do is tell a different version of the same stories – all we can do is pour old wine from new bottles. SC: I have always found that the more open you are to these sort of things happening to you, the more often they do, so who knows. Maybe someday you will. What titles are you working on now that you can tell us about? MC: I'm currently writing a screenplay set during the American Civil War about a young girl coming of age in the South who must defend her homestead against a murderous band of thieves. SC: Thanks for stopping by. Come back anytime. Let's take a look at your novel. Werewolves... vampires... swamp beasts... zombies... even a Jersey Devil... all of these chilling creatures and more await you in this haunting collection of 11 contemporary horror fiction stories by Mark Wesley Curran. 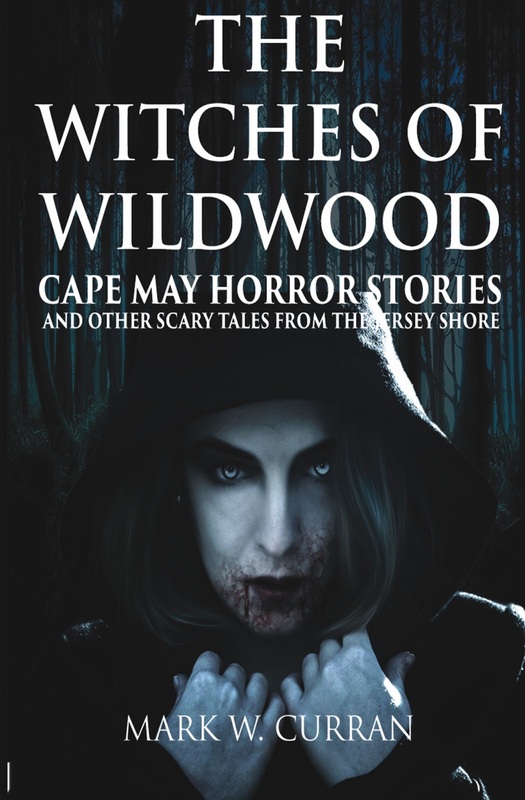 Uniquely set 'down the shore' in South Jersey's Cape May County, these scary tales are sure to terrify and entertain both adult readers as well as young adults. There was no doubt among the sisters that the murders were increasing their power. Each felt the surge of energy that coursed through them with each kill. plugged into some bitchin’ electrical source!” she marveled. The other girls felt it too. Both Jaz and Ali would lay awake at night and feel it running through them - bringing them even more vitality and strength than even their young ages provided. Mark Wesley Curran is a writer of contemporary fiction, specializing in the horror and suspense genre. Born and raised in Suburban Philadelphia, he spent many summers living and working in Wildwood, New Jersey during its heyday. He now resides in Los Angeles where he enjoys creative pursuits as a writer, filmmaker and musician.